I am of to Venice today and look forward to installing the works. here is an invite to our opening and hope to see you there. 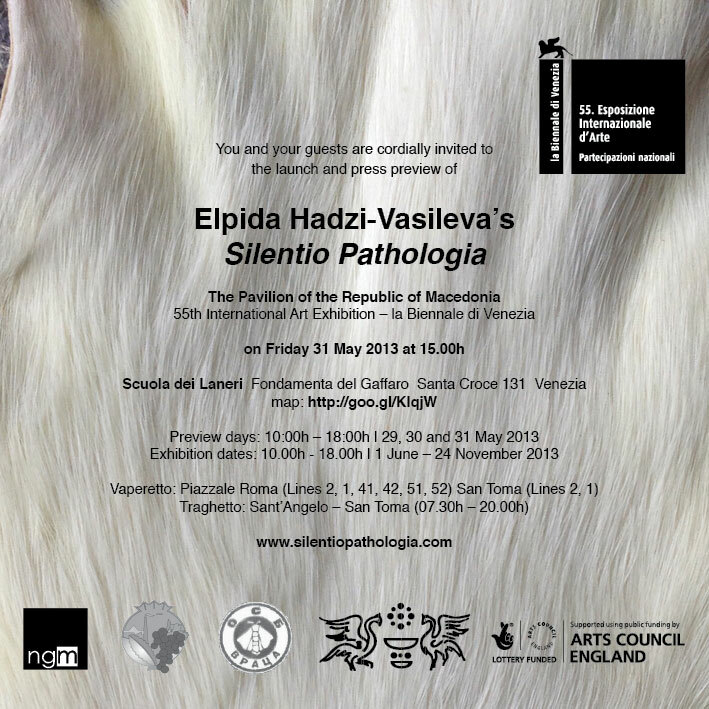 This entry was posted in 55th Venice Biennale on May 16, 2013 by Elpida Hadzi-Vasileva.